Why do some people fail to succeed in life, while others create magical life experiences easily? Why are some people living in limitation, while others live in abundance? Manifesting Magnificence will teach you how to become one with the flow of energy moving through the universe, and how to use that universal life force energy for your greater good. You will understand how and why the universal laws work, and how to employ them, without limitation, in your own life. This user-friendly handbook offers simple step-by-step action guides, inspiring stories, thought-provoking questions and answers, concise chapter summaries, and a personal workbook section in each chapter. The knowledge contained within this book has the power to change your life. Now is the time to learn the truth about yourself as a human being and the real powers you have inside you. It is time that this knowledge is returned to you. This book will help you remember how. 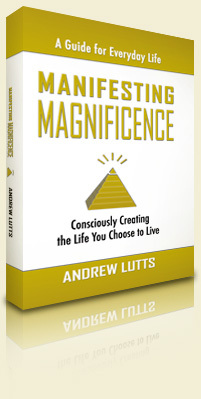 Copyright © 2008, 2009 Manifesting Magnificence: Consciously Creating the Life You Choose to Live - Andrew Lutts. All Rights Reserved.